This one is for all you photographers out there. Have you seen those adorable newborn cocoons? They are all over the place and have been for a while. 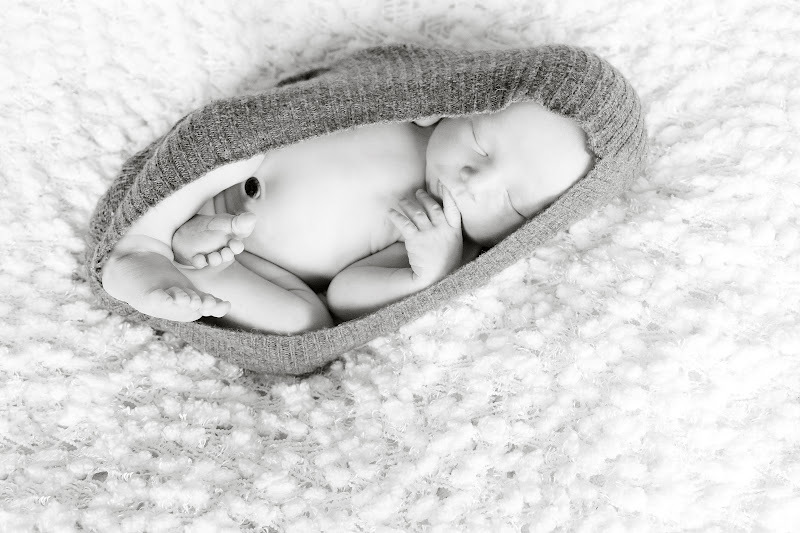 Most of these lovely cocoons are either hand knit or crocheted. I made mine just a bit different; and I must say that I love it. Alot. I made this lovely in under 5 minutes using one of my old sweaters. 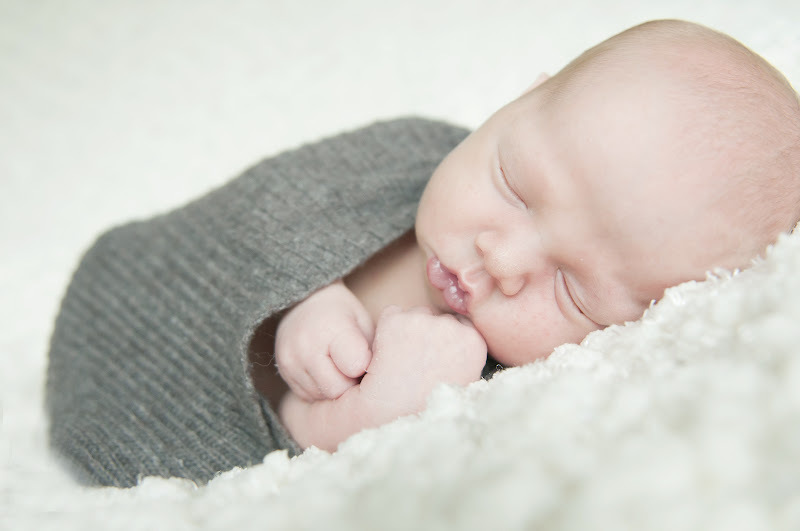 These not only make for a killer newborn prop, it would also be a great gift for a new mom or a photographer in your life. 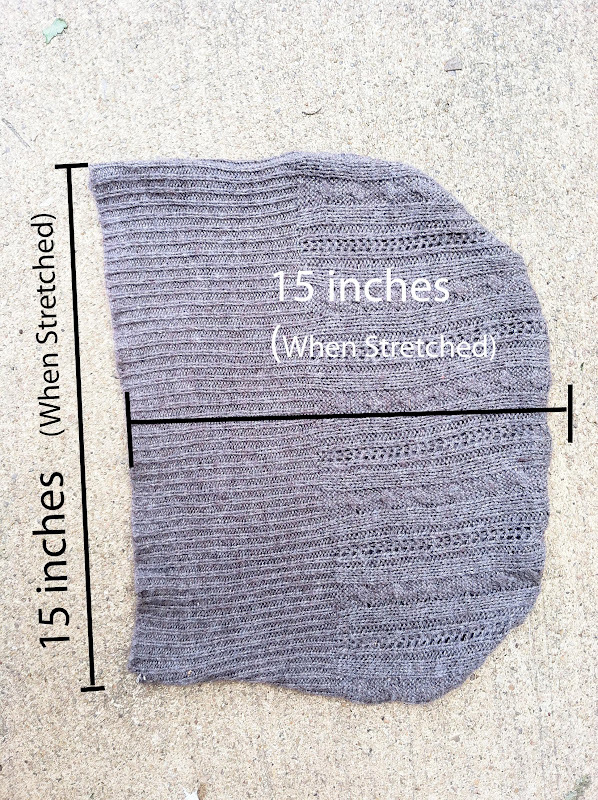 FYI, Because every sweater will stretch differently, I will give you dimensions for the cocoon when stretched fully. Your finished cocoon will be 15 inches wide and 15 inches long (at it's longest point) when stretched fully. We will add 1/2 inch seam allowances. First stretch the bottom of your sweater as wide as it can go. 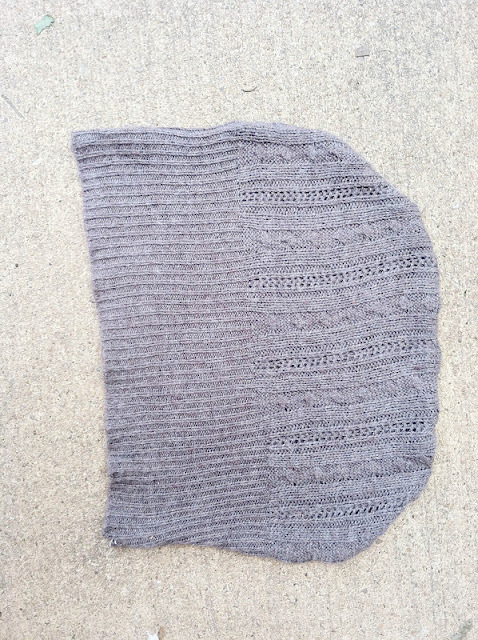 Measure16 inches along the bottom of the sweater. Mark with your fabric marker the beginning and end of the 16 inches. Now stretch your sweater from the bottom to the neckline. Measure 15.5 inches from the bottom of the sweater up. 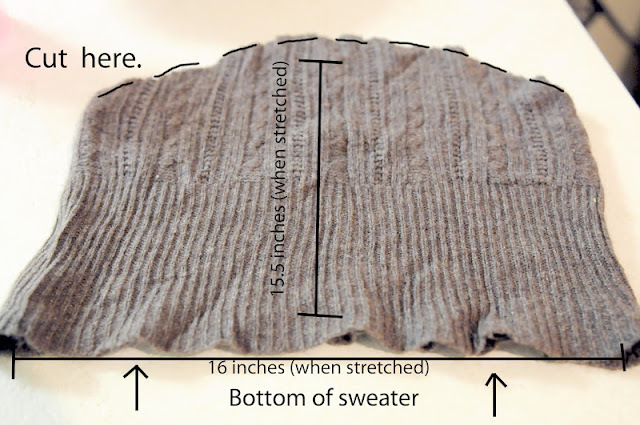 Draw a small mark to show where 15.5 inches is on your sweater. Using your fabric marker, draw a slight curve like the one pictured below. Set your machine to a stitch suitable for a knit fabric. 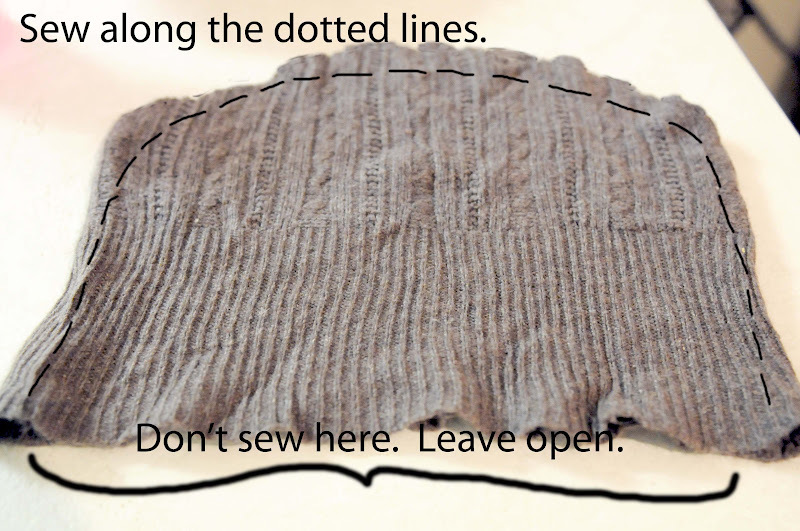 Using a 1/2 inch seam allowance, sew or serge your cocoon rounding at the corners (see below). Be sure to leave the bottom of your cocoon open. Flip your cocoon right side out. And that's it; you're done. LOve this! Wish I saw it before I had my little one back in January. Will def make one for my next babe! So cute! Amber I can't believe all the posting you've been doing! How did I miss all these?? You're making me want to start sewing again. And you're making me want a little girl to sew for! Love it all. I'm going to share your blog everywhere I can. Also, hot pics of yourself, girl! You better believe I'm going to attempt to make this! Sooo cute! You are amazing!